Tarsem Singh made his name directing music videos, most notably for R.E.M.’s “Losing My Religion”. That song played a key role in pushing the band to greater heights and showcased Tarsem's unique film making approach. Nine years later, his 2000 debut The Cell received very mixed reviews but had a stunning visual style. The Indian director finally returned to the screen with The Fall six years later. 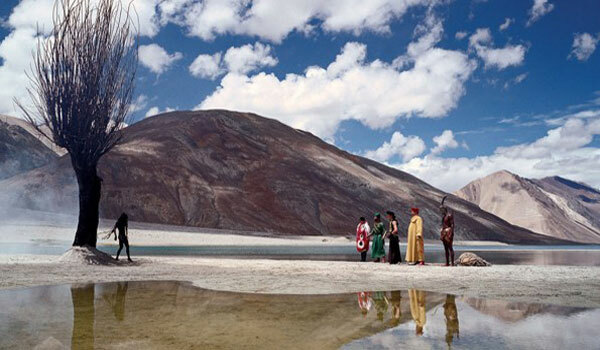 Shot in fantastic places all over the world, this film was partially finished by Tarsem himself. A remake of the 1981 film Yo ho ho, it has an original look that’s hard to duplicate. Although it didn’t generate huge receipts at the box office, it felt like the perfect choice for this year’s Blind Spots Series. I’m seeking out ambitious ventures from bold artists who aren’t willing to stick to the formula. Although they don’t always succeed, these visionaries are taking a shot at greatness. 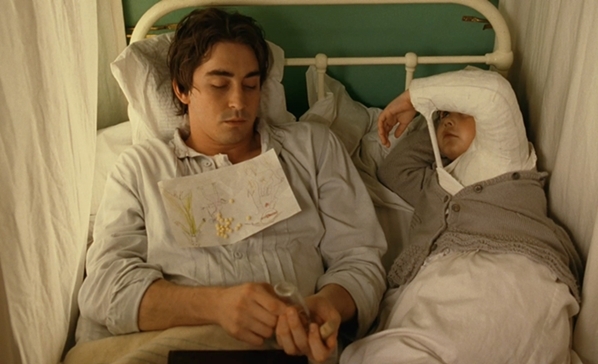 Lee Pace (Pushing Daisies) stars as Roy Walker, a movie stuntman brutally injured during a daring jump. The sad event costs him his girlfriend, and the bitter guy has nearly lost all hope. He strikes up a friendship with Alexandria (Catinca Untaru), a young girl recovering in the hospital from a broken arm. They develop a warm bond, and he tells her stories about Alexander the Great and five heroes seeking revenge against a vicious ruler. She grows enamored with his tale, but he’s looking for an ally to help with a less noble deed. Although their friendship is real, Roy uses that connection to bring him closer to his wishes for death. The innocent girl still wants to assist him, which could lead to tragic consequences. The Fall really takes off when we enter the fantasy world of Alexandria’s mind while Roy creates the fictional tales. The grand and colorful locations feel like CGI but were actually shot in physical sites. This isn’t The Phantom Menace, and it shows when the actors move through the scenery. Along with recognizable spots like the Taj Mahal and the Charles Bridge in Prague, Tarsem shoots in incredible settings like the Jantar Matar in Jaipur and the Chand Baori stepwell in Abaneri. The events are almost secondary to the unreal images on the screen. It’s a convincing depiction of childhood imagination that feels so alive. When the five heroes make their daring attempts to take out Governor Odious (Daniel Caltagirone), the battles feel epic because of the huge scope of the landmarks. It’s one of the most impressive visual spectacles that I’ve seen, and it would still work with no dialogue. There’s a stark contrast between these creative scenes and the bleak setting of the Los Angeles hospital. Filmed at the Valkenberg Hospital in Cape Town, the location grounds the story and reminds us that the real world isn’t such a kind place. Roy deftly manipulates Alexandria with his clever stories while keeping an eye on his ultimate goal. His despair when the suicide doesn’t work is jarring because we’ve grown accustomed to the fanciful setting. When his hopes go downhill, the tone becomes darker and shifts towards a dramatic tragedy. 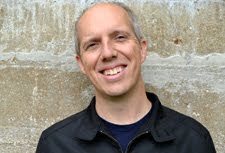 His characters are dealing with lost love and death, and thoughts of a grand adventure quickly go out the window. Roy enforces his will on Alexandria’s visions and turns them into something very different. When he starts killing off the characters, it’s devastating to watch her bright façade crumble. She’s very young and has a child’s excitement about life, but he’s quickly educating her that we can’t live in a happy fantasy. The challenge with The Fall is sticking with the deliberate pace. We spend a lot of time in the hospital learning about Roy’s issues. Tarsem must find a way to keep our interest when we’re not inside Roy’s stories. Those sequences are exciting, particularly when Alexandria inserts herself into the proceedings. The tonal changes don’t completely fit together, which brings an inconsistency to the overall film. 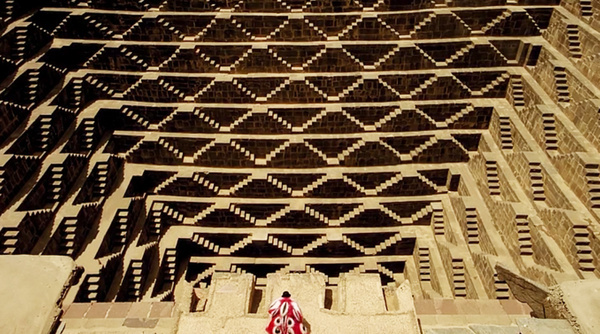 Even so, it’s hard to complain about Tarsem’s massive ambitions for this undertaking. It’s worth checking out for the visual style, and there’s enough in Roy and Alexandria’s characters to keep us interested. Pace brings weight to Roy’s struggles, and she lacks the awkwardness of most child actors. Their connection makes this film about more than the visuals and worth a recommendation. Nice review, Dan! I love The Fall- I got to see it on a ginormous screen at Ebertfest a while back and it was breathtaking. At this point, I've begun to doubt whether Tarsem will ever match it for me, as his other films don't touch me in the same way the personal story at the center of this one does, but you're right- his visual style alone is enough of a reason for everyone to seek out this beautiful film. Thanks Kate! I'm jealous that you got to see it on the big screen at Ebertfest. I can't make it there this year for obvious reasons, but I'm hoping to go within the next year or two. With Tarsem, I haven't really been interested in seeing The Immortals or Mirror Mirror. That isn't a good sign, and from what I've heard, I'm not missing much. This might be a rare passion project for him that's the exception. I saw The Fall very recently too and I agree that it is a visual masterpiece. I quite liked Alexandria as well but apart from that, wasn't a big fan of anything else. After some time, due to the lack of any interest in the story even visuals failed to impress me much. It felt like too much style over almost no real substance in it. No problem about the negative comment! I'm always interested to hear what others think about a movie, regardless on if they liked it or not. Feel free to keep posting them! Like I mentioned briefly in the review, it was a bit inconsistent for me, so I understand your issues with the story. I do like this film though I think it is flawed at times for its script. Still, it's a film that is filled with lots of visual beauty. Tarsem has a great eye for visuals but I think he needs someone who can help him create a story that is strong and engaging. I do think that if there are issues to identify, it's with the story. Even so, I was engaged by the two main characters in this film, which kept it interesting even when we weren't in the fantasy sections. From what I saw in the trailers and heard from others, I expect that wasn't the case with Mirror Mirror. Thanks! I came across this film a couple of years ago, when an acquaintance lent me a copy. I agree with the general perception - the visuals are mesmerising, yet the plot isn't strong enough to match the scenarios. Despite that, Roy and Alexandria succeeded in making me care for them. Roy's suffering made me feel for him, and although his manipulation, the bond he created with that lovely girl got to me. On the other hand, I'm a very visual person, so the film was a delight. I was mesmerised to learn such places exist on this very planet. The colours seemed unreal, and because of that it was really easy to get absorbed by Alexandria's imagination. All in all, it was good enough to still remember it dearly and recommend it, and so visually impressive, I will never forget it. Naura, I was also stunned to learn that so many of the locations were actual places. The shots are so remarkable that I expected to learn that most of it was shot in front of a green screen. I agree that Roy and Alexandria are still interesting characters. It's just a case where virtually nothing can match up with that imagery. Thanks for the comment!